We’ve all heard the horror stories where big name brand sites have received a penalty on Google Webmaster Tools and suddenly ‘disappeared’ from all Google searches, only to have to grovel to get their rankings back. But it’s a shock when it happens to you, especially if it’s not in the way you would normally expect. So you can imagine our surprise when a client – who we have been working with for only a few months – started to drastically drop in organic ranking, roughly 40% of organic impressions dropped over-night. A pretty bad start to a Thursday morning. 1. So the client never feels ‘left in the dark’ – This can result in isolation, and potentially distrust. Being open and honest benefits the industry as a whole; SEO isn’t some kind of secretive magic trick. 2. To keep an accurate log of work we have completed – It’s always nice to have work and dates in one place. This also prompted us to start using Asana (check it out here) as a project management system to help manage and record our work. 3. Written proof – A phone conversation is good to get information quickly, but make sure to write down any work that both parties have agreed on so there’s no confusion later on. Following on from analysing the website, our next step was to see if anything had changed in the world of SEO. A quick Google search brought up a wave of posts about the recent PENGUIN 2.0 – even a tweet from Matt Cutts which is always appreciated – being rolled out on the 22nd of May. Aha! An exact match for the drop off in traffic and a Google update. It must be fate. As many of you may already know, this update was aimed specifically at websites engaging in unnatural link building tactics (there’s a great article on the recent Google Updates on the Moz Blog). Note that this is an algorithmic process; no humans are involved in the original decision to start pointing fingers. These penalties can vary from website-to-website, as different tactics are used to try and fool Google’s algorithm and, most of the time, are unsuccessful. Even if these tactics used to work, SEO is an evolving industry – think long-term about the effort you put in to a website, and whether or not they will help grow a business. 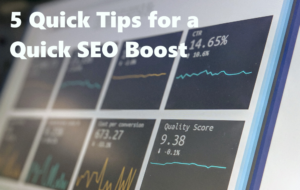 A “quick hit” tactic now could create lots of problems later on, especially if your website becomes reasonably large, and relies on organic results to bring in traffic. When envisaging a Google penalty, the first thing that comes to mind is a complete annihilation of traffic visits and a huge drop in sales – luckily for us, this was not the case. The matching date was cause for concern and, naturally, our first thought jumped to it being a manual penalty, but after looking into GWT we found no terrifying message from Google saying our website had been decimated by the update. Were we wrong? Was this just an unlikely and badly timed coincidence? After long days and nights researching and constant monitoring our client’s website performance, we were 90% sure this was the work of the penguin update and with the help of SEO specialist Annie Cushing, we were able to confirm that this was indeed the case: one very spammy looking link profile. But where was the infamous email from Google to tell us if we didn’t change immediately we could wave goodbye to our online presence? 1. Download all the links that point to your domain – This can be done by going into GWT > Search Traffic > Links to Your Site. Underneath “Who Links the Most” click “More” then at the top click “Download latest links”. 2. Structure your data – Create something that is visually easy to understand and quick to use. The best way we found is by ordering by domain and all links within that domain – pivot tables are your friend! Here is a post from Annie to help with structuring your spreadsheet. 3. Decide on a Plan of Attack – Make sure you have clear rules that allow you to make a yes or no decision on a websites authenticity, and clearly label it in excel. If you are disavowing a lot of links then adding additional columns will make it easy to find and copy all the offending websites. Tip: You can disavow by domain if the whole site is spam (e.g. “domain:spam.com”). 4. Divide the Work – Disavowing links is a very time consuming process, try to divide the workload as much as possible to improve speed and reduce errors. 5. Start Disavowing – Once you have found all offending links you will need to submit these, along with a reconsideration request, to Google. Put the links and domains that you want to disavow into a .txt file (use # for any comments), and write a short piece explaining to Google when you found the problem and the steps taken to remove them. What Does A Spam Website Look Like? How do you know if a link is worthless? After going through several thousand links, these are a few things to watch out for when reviewing a website. Check where the link is: Does this look like it was built artificially or by someone who was blown away by your awesome site and must share with everyone? Domain type doesn’t automatically mean good links (EDU, Gov, etc): Check how and why someone would link from that page to your website, is it relevant? Look at the comments: Refer to point one. If you see something like ‘Great article, can’t wait to see more…’ with a link to your website, remove it instantly. 99% of directories & 404 errors should be removed: DMOZ is acceptable. Anything else? No. Remove bookmarking sites: You’ll know when you see it. After weeks of work we were finally ready to send our reconsideration request and disavow file to Google. Not expecting much to happen for a few months, if anything at all. Three days later… it arrives. A response from Google. Admittedly it wasn’t quite the response we were hoping for, but it did give us some valuable information to go on – even after disavowing 60%+ of all the domains pointing to the site, we still had some bad links. This last point is rather counter-intuitive and turned out to be the problem for us when it came to resubmitting our reconsideration request. Knowing that we don’t provide a (spam) link building service, it was a surprise to see an updated file from Webmasters with new spammy links being made within 2 weeks of previously downloading. It was then we realised that Google was constantly finding spammy links on an almost daily basis. *Sigh* Back to disavowing links. There were some positive points to receiving this email though – we now had proof from Google that our links looked artificial. Success! We also got to experience first hand roughly how long it takes Google, on this occasion at least, to respond to a reconsideration request. Getting out of a manual penalty is no easy task, make sure you are ready to invest a lot of time and effort into cleaning up your link profile. If you have already been hit, we suggest running a Google Adwords account to help with the drop in traffic from organic visits. Persevere though and you will be rewarded! Are You Failing to Execute These 2 Vital SEO Techniques?